I'm back with another tutorial! Today I've got another foundation tutorial for you! I did more of a natural Summer routine a few months ago, and today i'm showing you my glam routine featuring full foundation/highlight/contour. 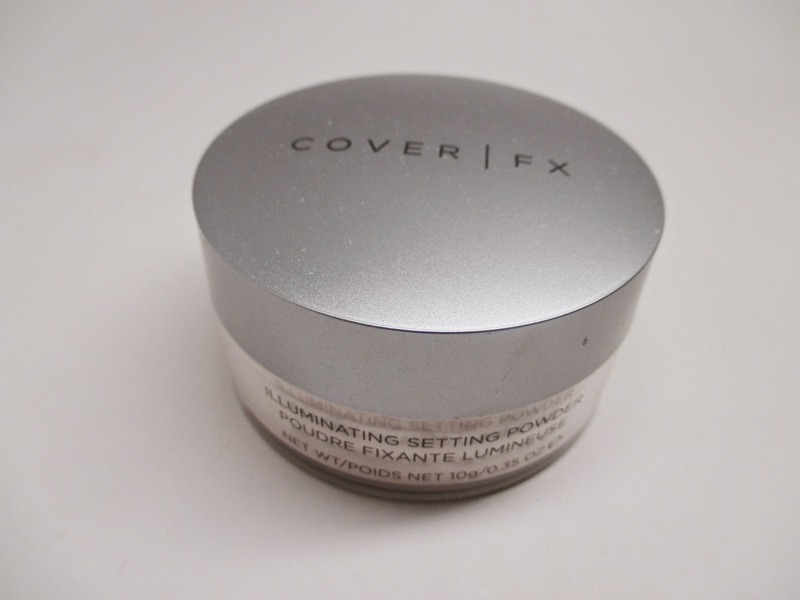 I'm also featuring an amazing CoverFX giveaway, check it out! The first step is to start with clean, moisturized skin. 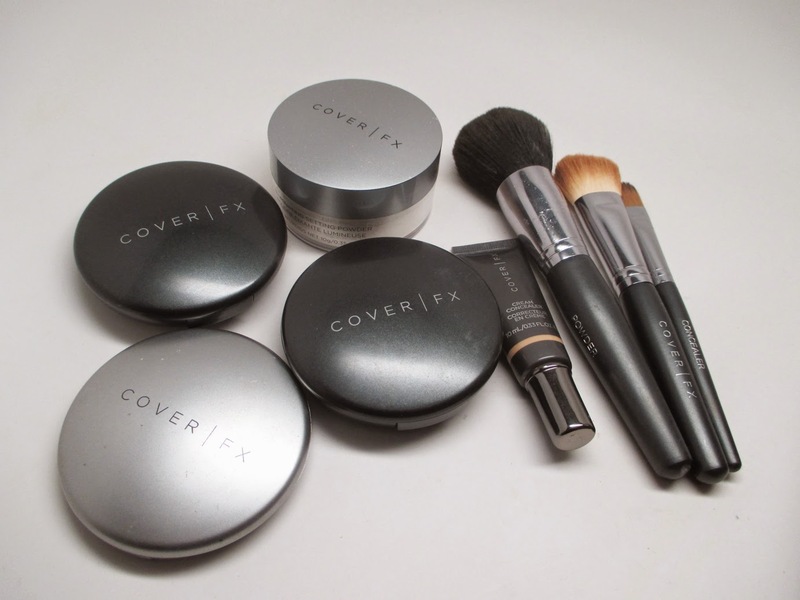 Today I am featuring mostly CoverFX products which I love because they have every product in shade for my natural to glam routine and from my winter to summer shades. 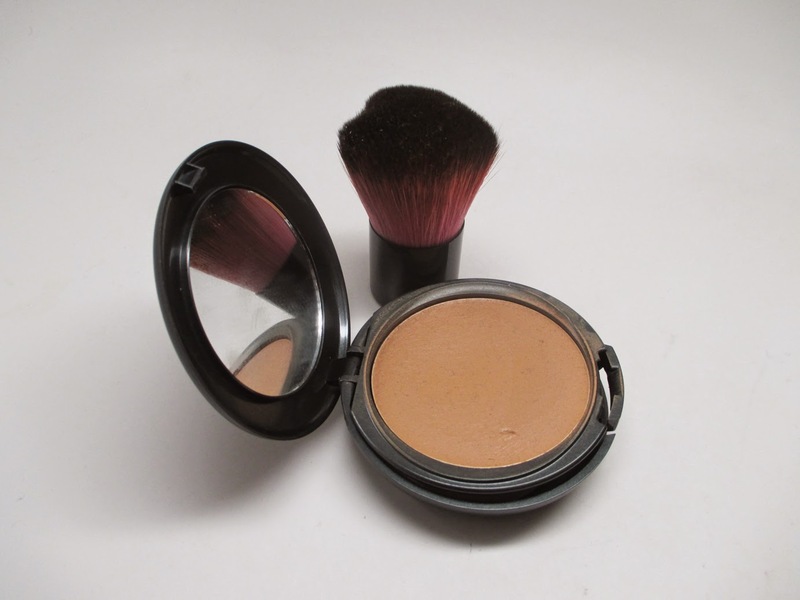 After applying my corrector, I apply my foundation using a kabuki brush. I love using this brush because it evenly applies the foundation and gives an airbrushed effect. 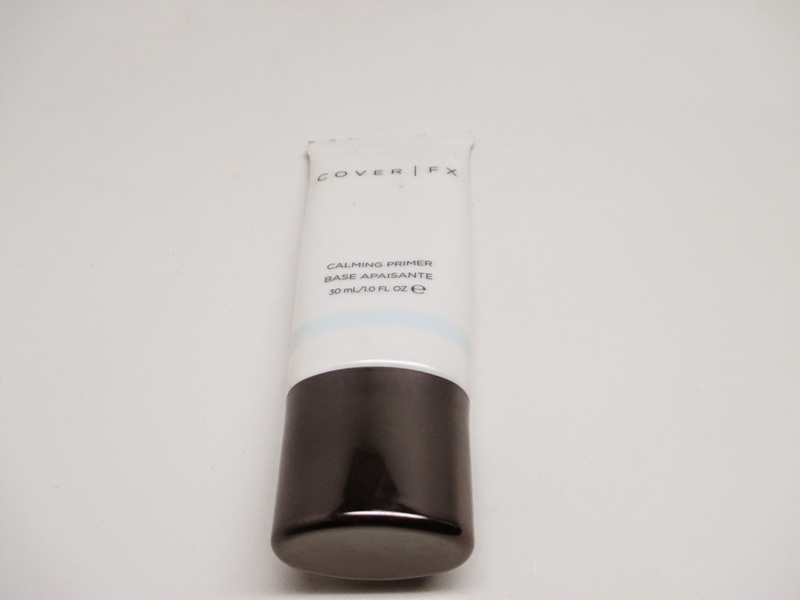 I used CoverFX Total Cream Cover Foundation in G70. Next comes highlight. I use a light cream concealer to hit the high points of my face that I won't to brighten. 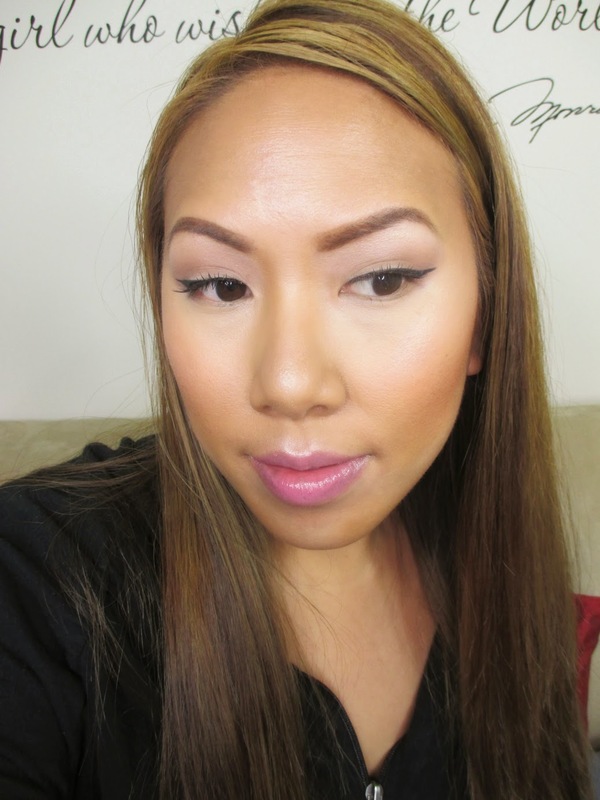 I used the CoverFX liquid foundation brush with the CoverFX Cream Concealer in Light. Time to contour! 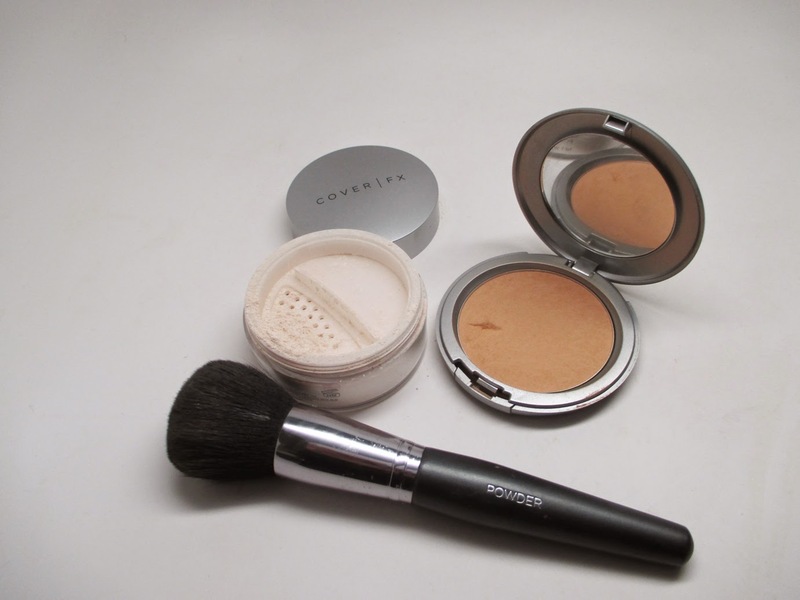 When going glam, I like to contour with creams. The effect is flawless. 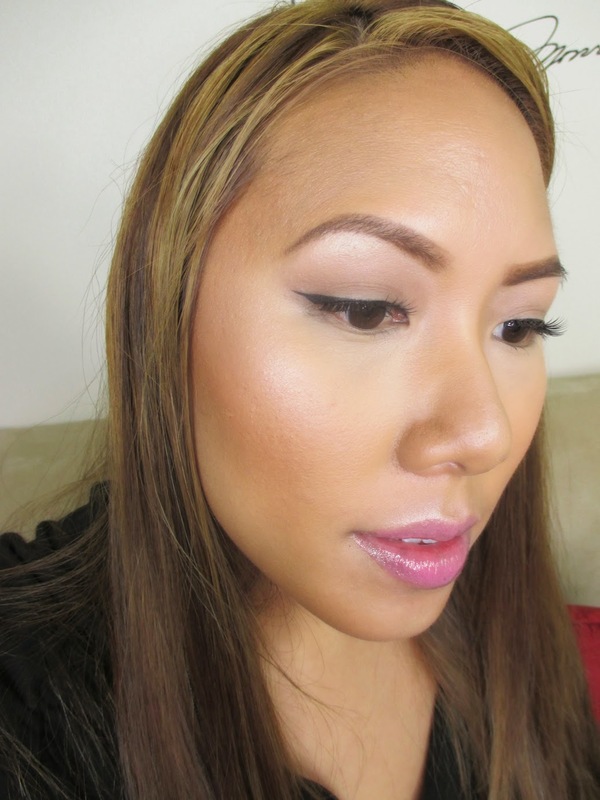 I used a darker shade of the CoverFX Total Cream Cover Foundation in N90. 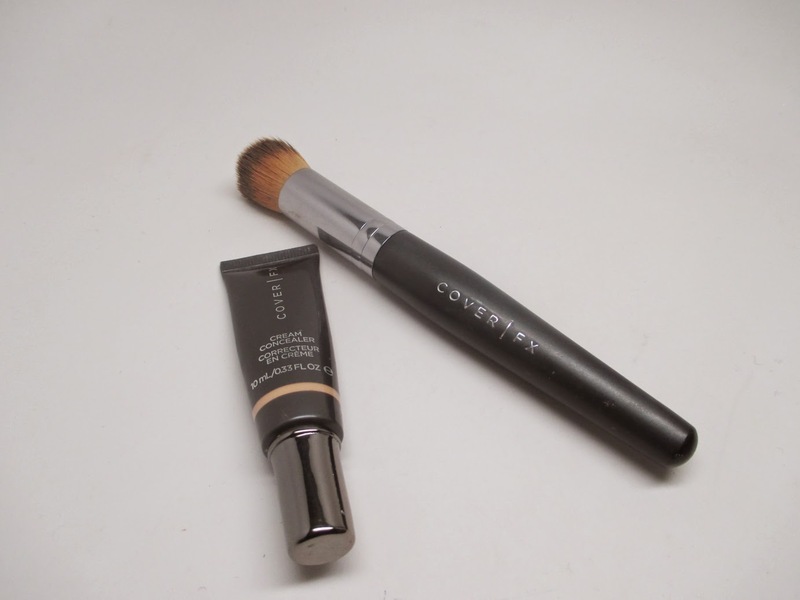 To apply the nose contour I used a smaller brush - the CoverFX Concealer Brush, and around the face I used the CoverFX Cream Foundation Brush. Time to set! I used two powders - the CoverFX Medium Blotting Powder to set all over and I applied the CoverFX Illuminating Setting Powder in Light to set my highlight to make sure it stays nice and bright. 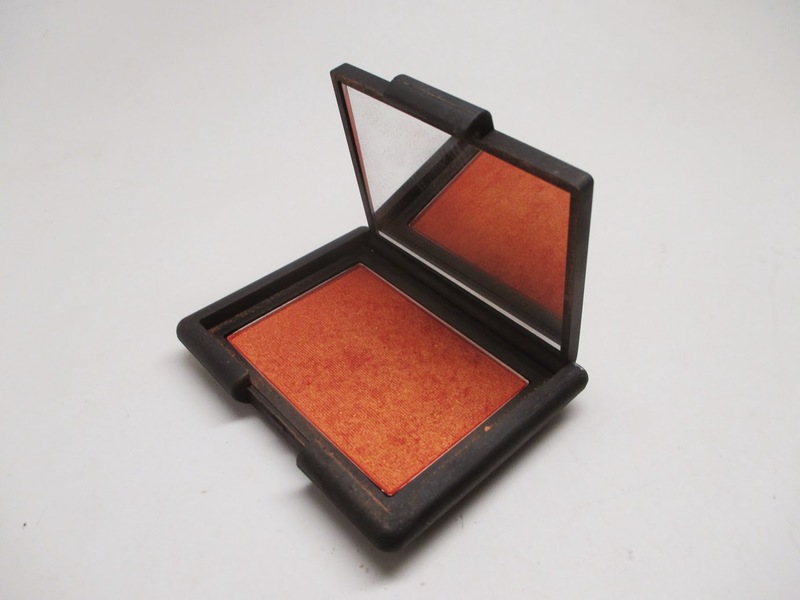 Your face isn't complete without blush. 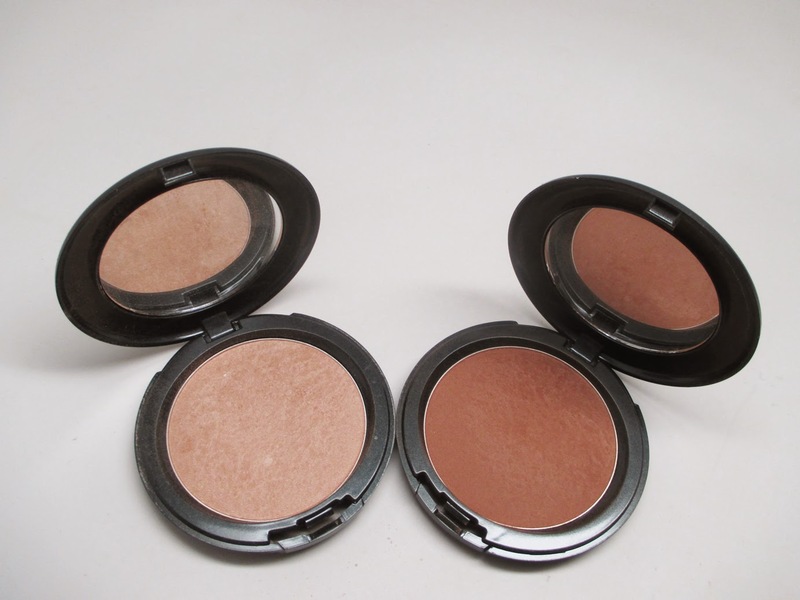 It brings the color back to the skin after all the highlight and contour. I used one of my favs - Nars Taj Mahal. 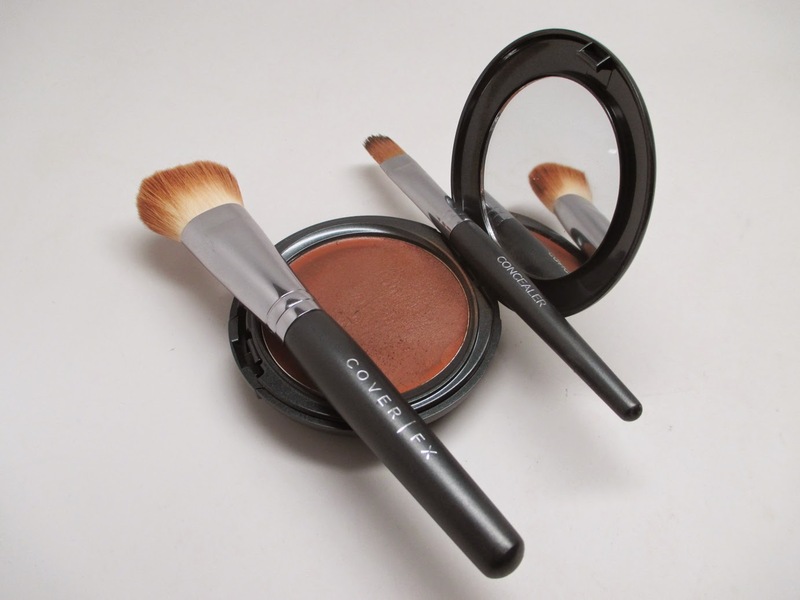 Long lasting, flawless makeup is all about layering. I then applied my powder contour and highlight. 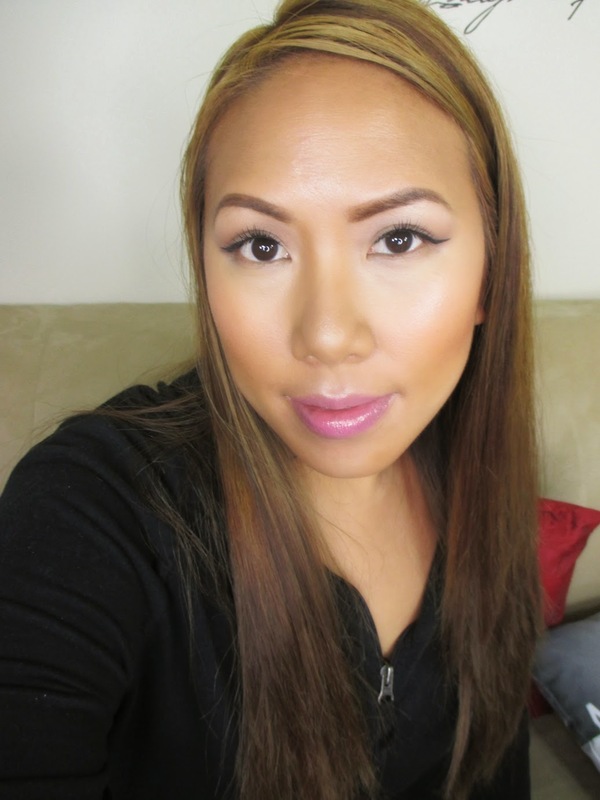 I used the CoverFX Sunset Bronzer and then CoverFX Illuminator in Sunlight was applied to my cheekbones for some gorgeous shimmer. 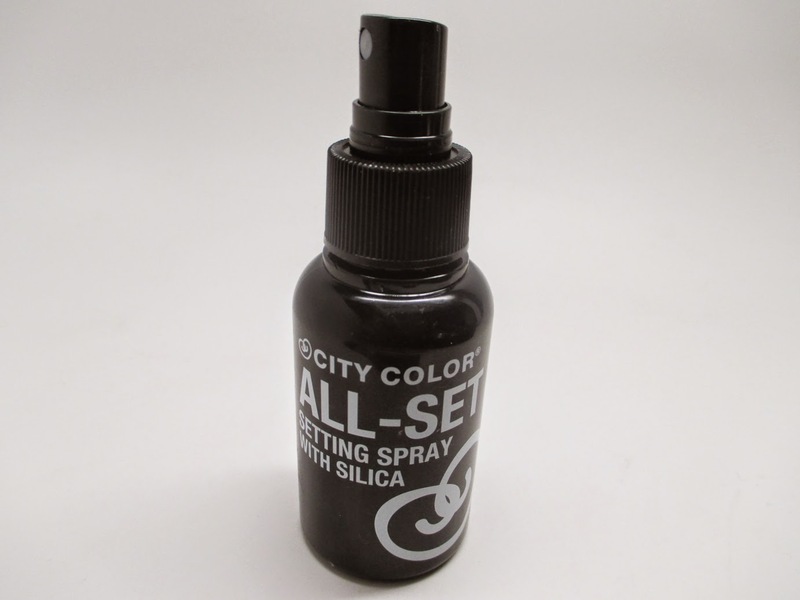 Last but not least, don't forget to finish off with a setting spray - I used the City Color Cosmetics Setting Spray. This is important because it helps everything melt in together, removing any powder residue, and ensuring the the makeup lasts. The final look! I like how you can still see my skin poking through, but it's definitely a glam, complete look.